The Mathematical Sciences Research Institute (MSRI) is a wonderful Berkeley organization dedicated to the advancement and celebration of Mathematics and its beauty and its application in every day affairs. 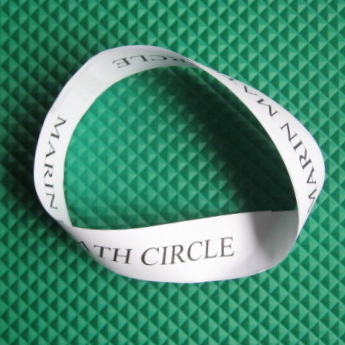 For example on October 26th (two weeks from today) they are convening Celebrating the Mind to honor the life and works of Martin Gardner who has delighted so many of us with his math puzzles and games. I have been a sponsor of MSRI in past years and am very grateful to my friend, Elwyn Berlekamp, for getting me involved. Elwyn has written some great books on mathematical games that I have loved reading. At a gathering of MSRI not long ago I had a great time meeting some wonderful math enthusiasts – many teachers, researchers, entrepreneurs and authors with delicious insights into all aspects of pure and applied math – like chaos theory, logic games, nonlinear algebra and information encoding. I also met a gentleman who had used his considerable math prowess to built some pretty effective quant (or quantitative) models to simulate the financial markets and exploit minute inefficiencies in high frequency trading for impressive profits. He told me about his Hedge Fund which he runs from the Bay Area and which has a direct computer line to the financial markets in New York and other locations. He had encoded his quant model into computer software that trades without active human intervention automatically, swiftly and emotionlessly using the direct access to the Exchange computers. From what he told me I was able to piece together some of the salient features of Hedge Funds that use this method of trading and their characteristics. I am providing below a narrative of a hypothetical fund, a composite similar to the one run by this gentleman in some aspects. The names and figures have been changed and many aspects such as taxes have been generalized from what I was told. John Q. runs a limited partnership Hedge Fund for which he has formed an entity, Quant Investments, (QI) to act as a General Partner. The Hedge Fund has 25 limited partners who have contributed $900 million for the Fund. These limited partners are high net worth individuals as well as other pools of money, such as Pension Funds or Managed Wealth portfolios. The Fund does high frequency trading using a proprietary mathematical or quant model. It turns over its portfolio several times in a month, sometimes in days, exploiting inefficiencies. This year the fund is up 40% or by a whopping $360 million. John Q.’s compensation consists of a 1.5% management fee plus 20% of the profits above a threshold. This amounts to about $65,000,000 in the year after all his expenses! John Q., if he treated the entire compensation of $65 million as ordinary income would have to pay 35% in Federal Taxes. It turns out that most Hedge Funds’ General Partners (GP) can treat their compensation – the part that is 20% of the profits – as Capital Gains. This brings the federal tax rate down to only 15% if the gains were fund on assets held for more than a year. How this direct income from investing by the fund manager can be capital gains boggles the mind. Also utilizing the margin rules of the exchanges he can borrow against his equity, increase his bets and make even a larger profit – all Capital Gains! But John Q. does not want to pay any taxes that he can legitimately avoid. (it’s his responsibility and duty as a businessman, as Mitt Romney said). So he sets up a Cayman Island shell company that he owns indirectly. Let’s call this company Quant Investments, CI Ltd. (QIC). This company buys (from QI) the quant software, as Intellectual Property, for $65 million, say. (Paid using the $65 mill first year’s profit, which John Q. defers to himself, thus incurring no personal taxes). This creates a one-time long term gain for QI and John Q. taxed at a rate of 15%. Every year thereafter QI pays royalties to QIC roughly equal to John Q’s compensation and so has no net profit and no net taxes from American operations. QIC, of course has obscene income from its Intellectual Property holding but that is not subject to taxes, Cayman Islands being a tax haven. So John Q., who makes 8-figure incomes, pays virtually no taxes! He is classified as a “Small Business” and a job creator in the Romney/Ryan lingo. Maybe this is one of the loopholes they will close that will make their tax cuts revenue neutral. Don’t count on it – there are donor lobbies here pulling the strings. I asked the Hedge Fund guy I met how many people he employed and he said, “Six”. That’s it. 6 people and a small offshore group of programmers to provide updates and maintenance to his software. Some Jobs Creator for a small business with revenues of hundreds of millions, wouldn’t you say! Truth is that many small businesses that earn more than, say, 1 million are hedge fund types. They play zero-sum games with our financial system where they have a special advantage through special access or fancy quant models. They move large sums of money from A to B and keep a cut, producing no new product or service. Since the game is zero-sum you wonder who the counter parties are that are taking the losses. They also employ very,very few people. 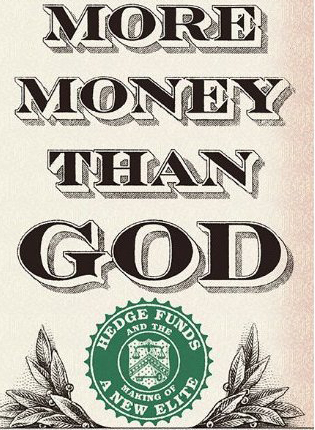 The top 25 hedge fund managers took home an average of $576 million each. And that was a down year. Last year’s total compensation for the top 25 hedge fund managers dropped 35% … to $22 billion. These guys feel entitled to their riches. They feel they are smart. After all they can build sophisticated data-mining models of the complex economy and financial markets that no one else can. They see themselves as hard working geniuses, deserving, self-made millionaires. And they whine like hell when they have to pay anything in taxes. They scream of Socialism, Class Warfare and job-killing government interventions! I asked the fund manager I met what real product his small business produced for America. His answer was typical: By filling inefficiencies in the market we are creating a more rational marketplace. Further we are creating liquidity by increasing the volume of trades. And finally, we are providing for the hedging of risk – our counter parties are using us to reduce their risks. The feeding frenzy on Wall Street today is so fast and intense that few appreciate it – until something goes wrong and we hear about it. 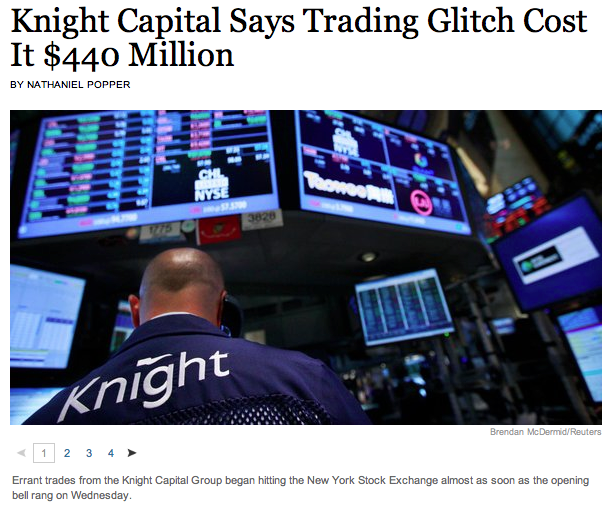 A couple of months ago a high frequency institutional trader called Knight Capital had a glitch in its automated trading software. It started making erratic trades. Immediately the market plunged about 10% (in a matter of minutes). This created inefficiencies that other computer trading software spotted and they had a buying spree. The loss to Knight Capital was estimated at around half a billion! The market went back up, but Knight almost went bankrupt and had to get an infusion of money from (presumably) a white knight. Also if you were a small investor with a stop loss order at, say, 10% below the day’s market price, you got stopped out and did not participate in the correction. You were scissored by a shark infested feeding frenzy! Welcome to the furious and fraudulent poker game we call Wall Street! The truth is that, despite all the wailing by the special interests, the current administration has done nothing to regulate Wall Street. The pathologies that gave us the $30 Trillion dollar mugging of 2008 continue. The collective howling about “too much government” etc. has had its desired effect. Obama has been cowed (if he ever intended otherwise) to make only cosmetic changes to a very dangerous crooked game being played with naked greed on Wall Street. A simple fix, which would not even require any complex legislation, would be to limit all stock transactions to be cleared at the closing price of each day – a Dutch auction, such as is held for the direct sale of U. S. Treasuries. Meanwhile our dishonest debates go on. The real issues are not even on the table. This entry was posted in Current Events, Education, Innovation, Investing, Money, Politics, Science and tagged Mathematics. Bookmark the permalink. 7 Responses to The Job Creators? You are a remarkable thinker and writer. I enjoy reading your blogs as they are intellectually stimulating and thought provoking. It is noble of you sponsor organizations like the MSRI that is dedicated to the advancement and celebration of Math and application of it to daily lives. Regarding the math genius who became a successful hedge fund manager, he reminds me of Jim Simon of Renaissance Capital, and Seth Klarman of Beupost; both ex-MIT professors who became successful hedge fund managers. On the one hand I feel there is substantial movement of IQ from an area of good (such as academia and research) to exploitation of inefficiencies for capital gains. That said humans are wired to hunt and gather, seek thrills in hunting and gathering. For example let say the successful hedge fund manager deploys 99.9% of all of his wealth to charitable causes such as eradicating diseases, inventing cures for terminal illnesses, invention of devices for enhancing the lives of the handicapped, then in totality I one could look at think that gentleman as one of the top 1% of philanthropists in the planet and people could view as he has made far greater contribution to the planet than one who worked all of his life on a regular day job but never participated in any material charitable work. I posed this question to an American friend of mine. He said “It is all in one’s head. If a person enjoys doing something that is within the bounds of the law and knowingly doesn’t cause harm to fellow human beings, like everyone else, that person is a noble soul”…I would add that if the person additionally engages and gives times and resources for the betterment of society then she or he may be considered a divine soul, a maha atma. As per has the issue of has the government done enough to regulate the hedge funds: The Dodd-Frank Act had good intentions but it is unclear it is effective. There are similarly lot of debates about should the government have this notion that some banks are too big to fail and give them favors and unfair competitive advantage while the regional banks are struggling in competing with them. The housing industry to some extent is greater economic threat. Anyways, keep the blogs coming as you are a remarkable thinker and writer. I enjoy reading your blogs. I have much to say, but since it is so later after your blog article, I do not know whether it would be seen at all, I will just condense my comment to one question: as this article’s focal point is the current tax system, the only way to fix all the loopholes and tax lobbies is to institute a flat tax rate either income, in whatever form, to each individual, no exceptions (synonymous to loopholes), or a single rate sales tax for any transactions (including each longs and shorts in the stock market) with no exception. The operative word is no exception, because you can not argue for one exception and reject the other, or leave it to the discretion of the politicians who then have to be open to lobbying from all groups, which is where all the bigger and bigger loopholes come from. Do you support that, Dr. Vaish? Thanks for taking the time to comment on The Job Creators blog. I totally agree with a flat national Sales Tax or VAT to completely replace our income tax system, no exceptions. See my post below for the reasons and the details I had outlined for such a system. You’re comments are welcome. A Sales Tax on stock transactions probably should be part of this, although that will cause a major market transformation – our financial sector would shrink dramatically – probably for the better. I like your agreement with me of sales tax and your eloquent argument for it. The one thing I would like to point out is that VAT is not the best choice for taxation. VAT makes an ambiguous and nonexistent distinction of production process chain and end user. Any product or service can both be an intermediate process and end product depending on how the user treats it. The sales tax for any transaction on the other hand can be clearly defined and thus assessed. Of course, I am arguing about which side of Jupiter I would like to own when I do not even have a rocket. I would be in heaven if the government replace the current hell of a tax system with any kind of blind flat tax. I would like to take an exception on your comment “our financial sector would shrink dramatically – probably for the better”. Any voluntary transaction is valuable only to the participating parties, so long as it does not violate any third party property rights. It does not make sense to talk about THE single value of a transaction to all people whether they are involved in the particular trade or not, because the value depends on individual person. So the financial sector may shrink or may not shrink, depending on what old trade may die out and what new trades may flourish because of the implementation of the flat sales tax. Either way, shrink or grow, so long as the parties are not treated with selective bias, it will be fine. The size is irrelevant. Another point I disagree with is your characterization of financial transaction as zero sum game, and that all zero sum games have no value, the concept of which itself is relative to different individuals. We can discuss that more deeply and in details if you disagree and are interested in investigate further. Thanks, Hans, for your comments. We are agreeing here that we need a flat sales tax type of approach. The VAT is not flawless but the most promising. To replace all taxes: Federal Income, Payroll, Corporate, State Income Taxes and existing sales taxes will require about a 40% VAT tax rate. About 25% for federal public goods and services and 15% for state and local. These taxes should be imposed on consumption not investment. If we impose a 40% tax on investments, such as stock purchases or bond purchases, we would effectively destroy capital formation. You will not invest in a stock if you lose 40% of your investment on day 1. I would endorse a “small” tax on stock purchases. Say 1% to induce some damping on frequent traders. Perhaps refund it if the stock is held for more than a year. Similarly I would not impose the sales tax on services. There are subtle reasons for this. But the essential point stands: a sales tax is more efficient than income tax. Regarding zero-sum: I mean large amounts of money moved from point A to point B providing no new capital to anyone. For each winner there is a loser. The winners are the largest Wall Street firms and the losers are the savings pools, pension funds etc. These types of transactions are not good capitalism, unlike win-win transactions. Let me first respond to the tax question, and then the question regarding zero sum game. Yes, we agree that flat tax is the way to go. Whether VAT or flat sales tax, we can leave it aside for now. I would consider the differentiation between consumption and investment for the sake of exempting or alleviating stock purchasing from VAT or sales tax as a special pleading. This is exactly the kind of “exceptions” I previously emphasized to avoid, which I thought you agreed. If the stock purchasing is exempted, what’s to prevent other from exempting derivatives trading or high frequency trading — maybe you don’t think they are unqualified or even harmful, but others may well argue for their hedging and risk allocation diversification effect on the economy, just as the quantitative trader you so vividly described in your blog — or other manufacturers from pleading their cases or mom an pop store owners? Giving any exemption or exception would self-destruct the exercise, as all others will follow suit and lobbying will flourish. It will be a losing battle. Typically I wouldn’t go through article on blogs, even so would like to declare that this specific write-up really compelled everyone to have a look on and also do it! A person’s writing style has become astonished everyone. Appreciate it, quite awesome write-up.